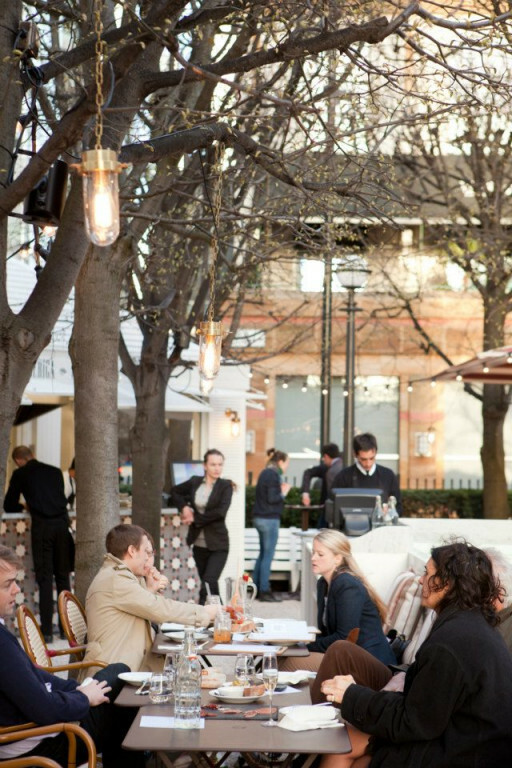 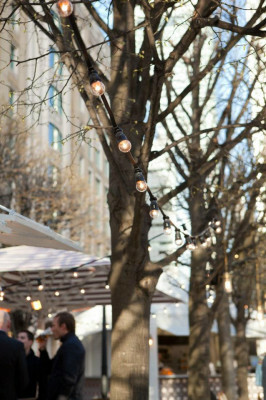 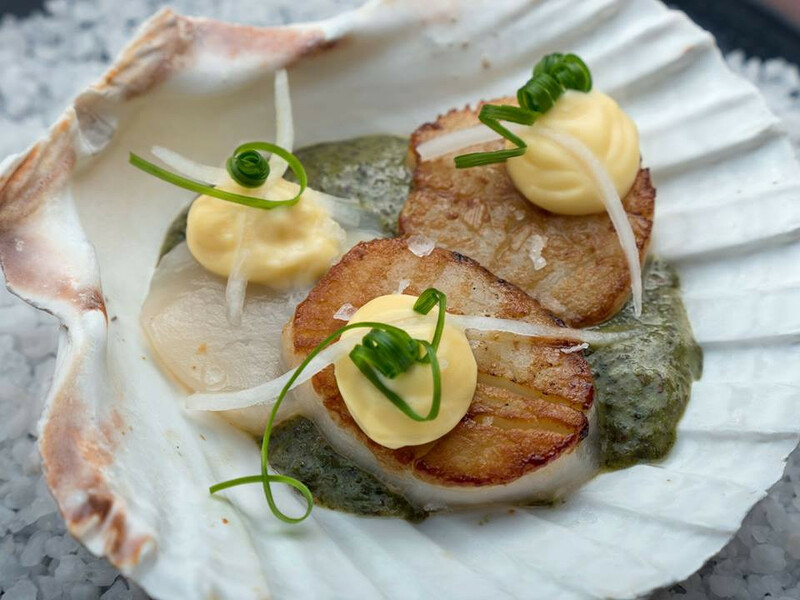 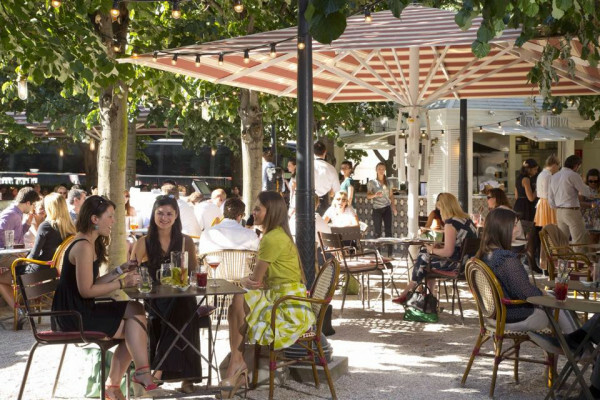 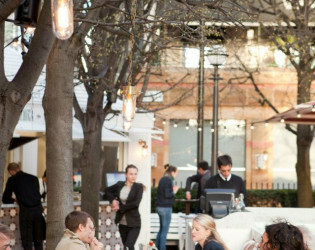 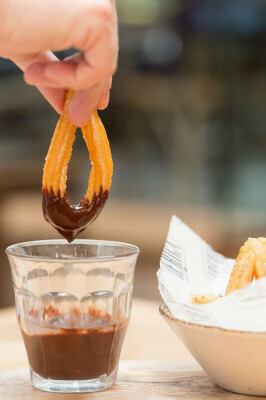 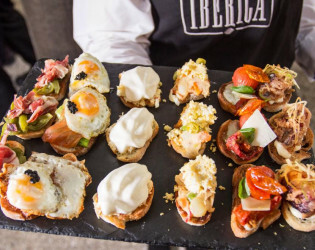 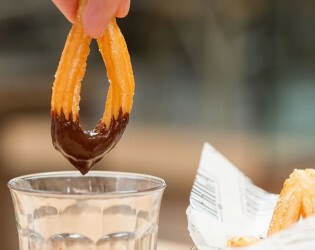 Located in a leafy corner of Cabot Square, Ibérica La Terraza brings the bustling atmosphere of Madrid to Canary Wharf. 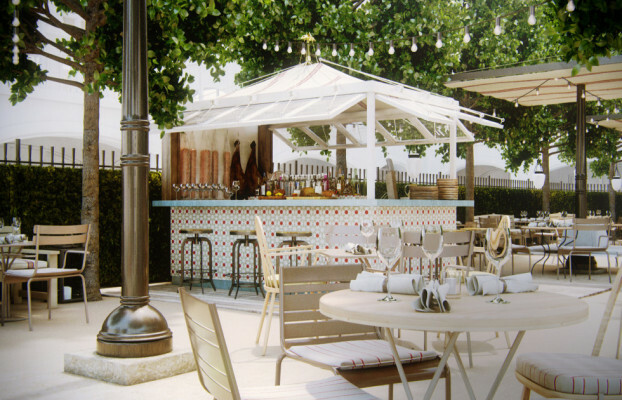 Our outside dining space, La Terraza is a new concept that resonates the Spanish terrace culture and is open seasonally from brunch through to evening with a selection of tapas and pinchos. 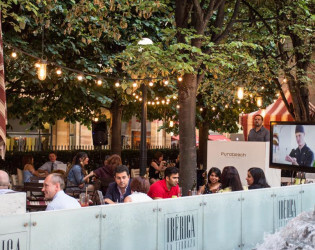 Located in a leafy corner of Cabot Square, Ibérica La Terraza brings the bustling atmosphere of Madrid to Canary Wharf. 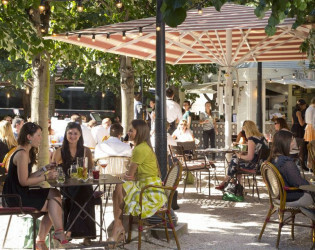 Our outside dining space, La Terraza is a new concept that resonates the Spanish terrace culture and is open seasonally from brunch through to evening with a selection of tapas and pinchos. 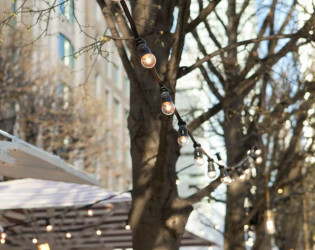 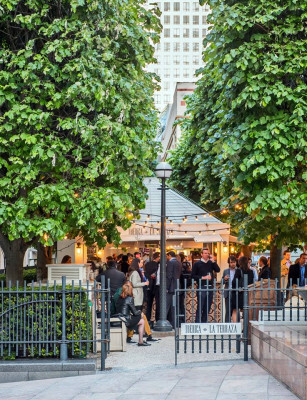 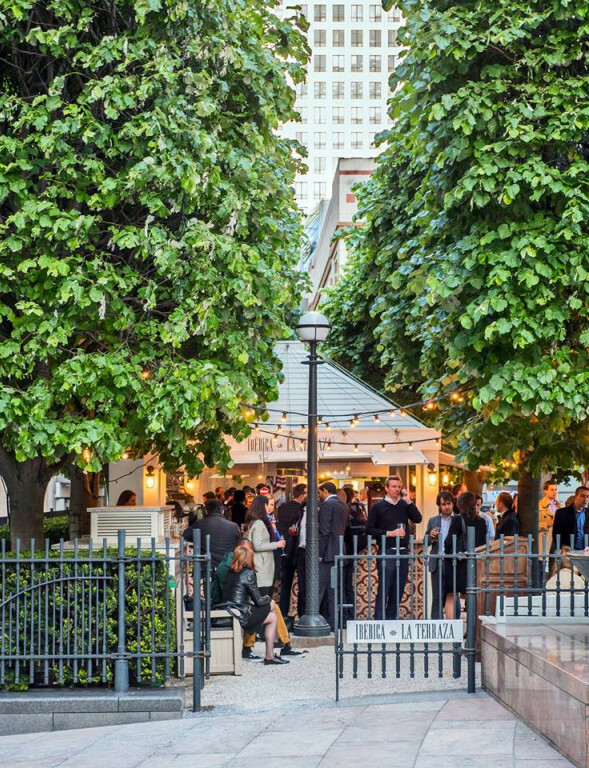 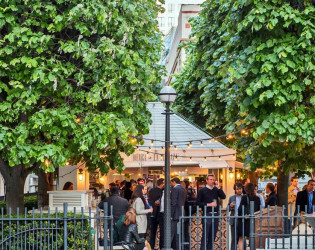 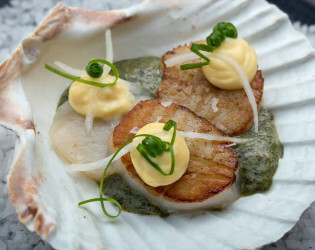 Located just moments from Canary Wharf tube station, opposite the established Ibérica Restaurant at Canary Wharf, in a leafy corner of Cabot Square, Ibérica La Terraza offers its guests a selection of bespoke cocktails and al fresco dining with a limited edition menu. 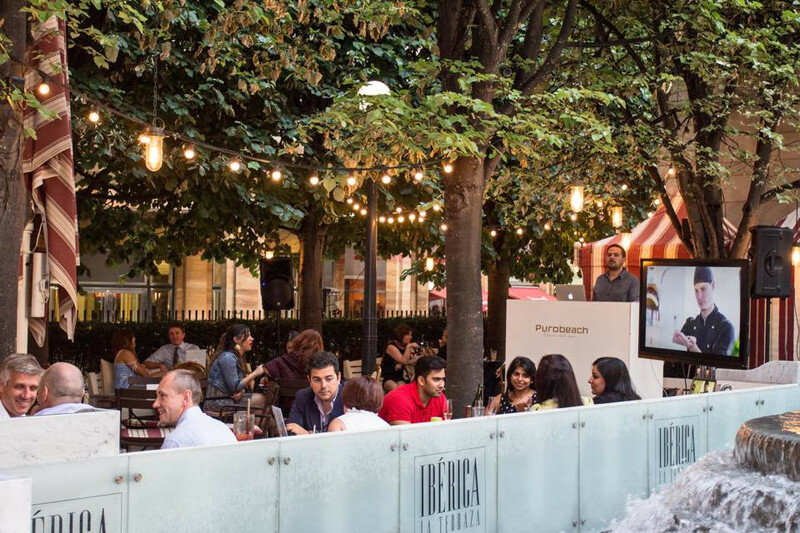 To give its costumers a truly Spanish experience, Ibérica joined forces with the Catalan designer Lázaro Rosa Violán to create the space and bring together its Spanish contemporary design, lighting and ambience. Ibérica La Terraza is open from brunch through to the evening with a selection of tapas created by Ibérica’s Executive Chef Nacho Manzano. 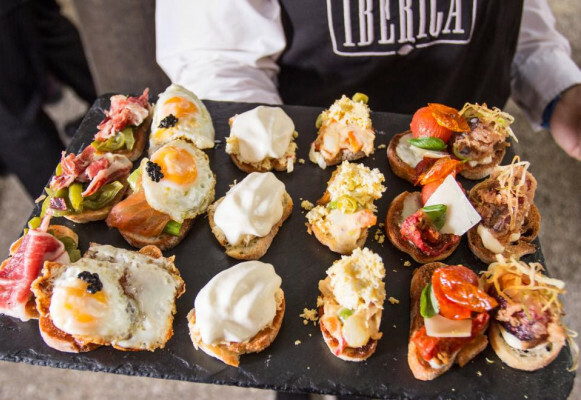 Nacho Manzano has added his own unique touch to our pinchos, creating exciting toppings to enjoy alongside our signature cocktails, especially designed for the summer season. 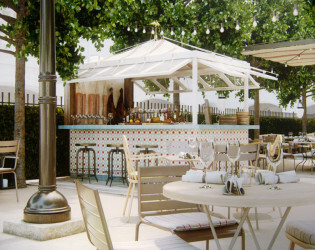 Ibérica La Terraza offers its guests a selection of bespoke cocktails and al fresco dining with a limited edition menu.